Becoming an HVAC service technician or contractor is a career option on the rise in Tennessee. With the hot summer temperatures and cold winter freezes, conditioned air is not a luxury; it is a necessity! Installing new equipment or maintaining and repairing existing central heating and air units is big business all across the nation, and it is especially true in Tennessee. If you are looking for a career that lends itself to becoming an entrepreneur and being your own boss, look no further than the HVAC industry. 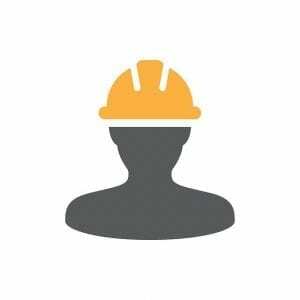 This is a lucrative lifelong opportunity for the self-starter and mechanically inclined person to build a brand and a reputable business as a contractor. An HVAC contractor in Tennessee must obtain a Tennessee Mechanical HVAC/Refrigeration Contractor License if you are planning to work on a commercial HVAC/R system that exceeds $25,000. It doesn’t necessarily have to be the owner who takes the exam for the license. A qualifying agent could also include an officer if it’s a corporation or a full-time employee. Before obtaining a contract or bidding on a contract that exceeds $25,000, you must be licensed as a contractor. HVAC contractors are knowledgeable of heating and cooling principles and theory as well as heating and cooling equipment. The HVAC contractor holds the dual role of businessman and HVAC journeyman. Contractors are required to know how to figure load calculations as well as safety measures and fire prevention. This license permits a license holder to perform any work related to ventilation or ductwork in new construction or replacing existing ductwork. It also permits a person to install, maintain, or replace any heating unit or air conditioning unit or appliances that involve refrigeration or heating elements. Gas pipelines for furnaces or appliances may also be installed, maintained, or repaired. This license does not permit a person to perform electrical work. Since that is a key part of any modern HVAC system, pursuing the electrical contractor license is also key. HVAC technicians who work as an employee of a contractor are not required to be licensed, so long as the contractor is licensed in HVAC. Contractors are responsible for overseeing the project in its entirety. Contractors are required to obtain liability insurance for all projectors they work on. Becoming an HVAC technician does not require you to attend formal vocational trade school or college. It is one of the vocations that you can test drive as an apprentice. If you find that you are mechanically inclined and like doing the work, you can follow through with an apprenticeship and obtain on-the-job training by learning from a journeyman. In Tennessee’s system, this means that you’ll be working with a licensed HVAC contractor. The HVAC technician must take and pass the HVAC industry trade exam to be the qualifying agent for a contractor. If you follow the career path of an apprentice, you will want to read and study books about the principles of heating and cooling and about repair practices so that you can advance your career and give yourself more options. To be the qualifying agent for an HVAC contractor, you must take a trade exam and an additional exam that covers business and law in Tennessee. The business law exam ensures that you are knowledgeable in running a successful business within the guidelines of Tennessee state law. The Tennessee Board for Licensing Contractors is in charge of the licensure process for HVAC contractor licenses. A financial statement must be provided that has been prepared by a CPA. The business will own the license rather than the qualifying agent, unless the qualifying agent is the business owner. A complete application includes the financial statement, proof of General Liability insurance and Workers’ Compensation, and references, exam scores, and a $250 application fee. After your application is received, there is a possibility that you will be called in for an interview, but many times this is waived. If you are licensed in certain other states, be aware that reciprocity only exists for accepting the trade exam results in states that border Tennessee. That means you’ll still have to fulfill the other requirements. Licenses are good for two years. You’ll be reminded about three months ahead of your expiration, and it’s recommended that you renew at least one month before expiration to avoid bidding with an expired license. If you miss the date, you can renew within twelve months without further requirements, but you cannot work legally until the license is renewed. PSI Exams Online is the exam administrator of the Tennessee testing process. You must verify your work experience and provide information about your employer in your application to sit for the exam. Examination sites include Chattanooga, Jackson, Johnson City, Knoxville, Memphis, and Nashville. You should arrive at least a half hour before the test is scheduled to begin for check in. If you are late, you will not be allowed to sit for the exam, and tardiness causes you to forfeit your registration fee of $57 for the trade exam and $57 for the business and law exam. The computerized exam includes a tutorial to familiarize you with the exam style and how to select and review your answers. The Business and Law Management Examination is an open book exam composed of 50 questions with 140 minutes allotted for completion. This exam covers such topics as the tax laws, contracts, risk management, and environmental safety. The trade exam covers the HVAC industry’s best practices and specialized trade knowledge. This also is an open book exam. The exam includes questions about such topics as load calculations, heating and cooling principles, and refrigerants as well as electrical knowledge, ducts, and piping. If you acquire the necessary reference materials, you may familiarize yourself with them before the test date. Check out our practice tests for more test prep. The Environmental Protection Agency requires HVAC technicians who work with refrigerants to be properly trained in their handling and recovery. There is also documentation that must be accurately notated about the refrigerants. The EPA coursework teaches all of this. EPA certification is available in tiers. Type I, Type II, and Type III are for varying equipment types based on the type of pressure that the refrigerant used in the refrigeration equipment is under. There are different kinds of refrigerants also. The universal licensure covers all types of equipment and refrigerants. This licensure is recommended so that you are able to handle any refrigerant. However, if you specialize in a particular equipment type, one of the individual tier licenses is appropriate. Without the EPA certification, HVAC technicians are unable to purchase, charge, or recover refrigerants. 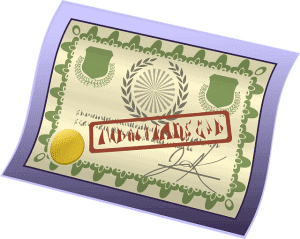 This certification is transferable from one state to another because it is a federal certification. It has no expiration date. A promising career path in Tennessee is the path to becoming an HVAC service technician or contractor. HVAC contractors have the potential to bid on projects worth more than $25,000. If you are a motivated self-starter who enjoys working on mechanical equipment, the HVAC industry is a path you should explore.